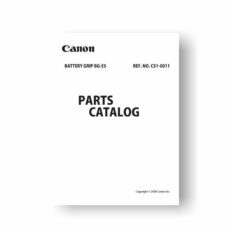 View cart “Canon Battery Grip BG-E5 Parts List Download” has been added to your cart. Digital presentation of a genuine Hasselblad 503CW camera body parts list and exploded views. Download available immediately after payment is accepted. 2 download limit for file(s) purchased never expires. Display all available online Hasselblad downloads here. Please Contact us with any questions or part requests. We add new parts to our online inventory every day. Do you need replacement parts for your Hasselblad imaging equipment? Does your camera, lens or film magazine have a broken or missing part? Then you found the right place. USCamera has sold Hasselblad replacement parts online since 1998. We have hundreds of part numbers left in stock. The most common parts are shutter blades, springs, wind gears, wind levers, focusing screens, flash shoes, screws and more. USCamera stocks light seal kits for over 80 popular film camera makes and models. Some of the finest imaging equipment in the world is made by Hasselblad.